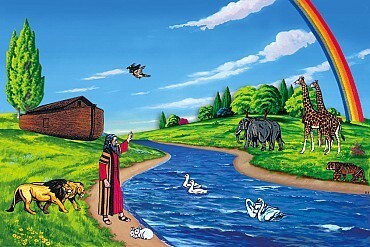 Product Description: Give new impact to Old and New Testament stories with our Large Betty Lukens Through the Bible in Felt Basic Bible Set. 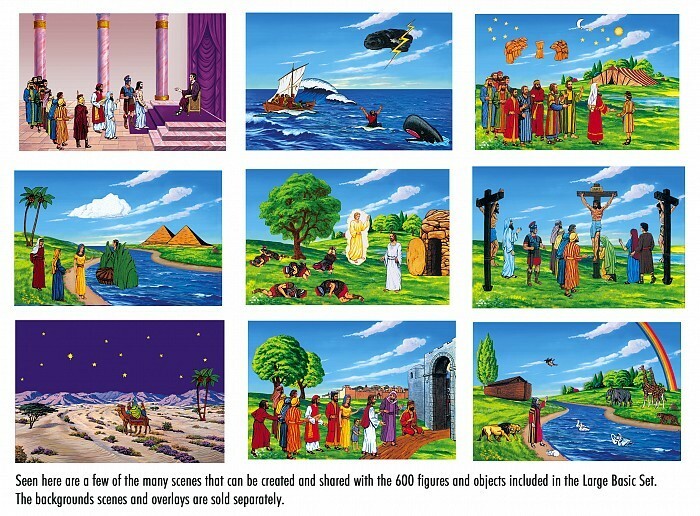 The Large Set is recommended when teaching groups of 10 or more. This set comes ready for you to cut out. 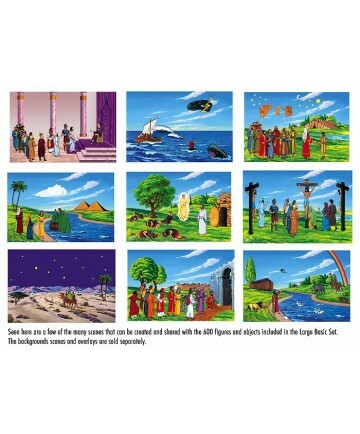 This set contains: *600 12" figures and objects: Includes 12 figures of Jesus plus men, women, children, animals, buildings, scenery items, tables, chairs, pyramids, tomb, ark, fiery furnace, and many, many more. *Teachers manual with 182 stories in English and 2 detailed pictures showing scene arrangements for each story *Hillside Overlay ---- This set is for use with our Large 32" x 48" backgrounds and Large overlays, sold separately.